Bertolt Brecht actually desired to have the raucous Ethel play the title role of his masterpiece "Mother Courage...and Her Children." She, of course, never did. According to author Boze Hadleigh, in his book "Broadway Babylon," Merman was fond of telling risqué (if not downright vulgar) jokes, just to see what sort of reaction she'd get. Even her close friends found this habit more embarrassing than amusing. Biography in: "The Scribner Encyclopedia of American Lives". Volume One, 1981-1985, pages 560-562. New York: Charles Scribner's Sons, 1998. Daughter Ethel Levitt was born July 20, 1942. Her daughter Ethel was married to William Geary in 1960. She gave birth to Merman's first grandchild, Barbara Jean, on February 20, 1961. She later gave birth to a son, Michael Geary. Her daughter, Ethel Jr. died of an overdose of drugs and alcohol in 1967. Her final film role was in the Jerry Zucker / Jim Abrahams / David Zucker film, Airplane! (1980). Coincidentally, John Houseman died soon after filming The Naked Gun: From the Files of Police Squad! (1988), also a ZAZ film, but before its theatrical release. Her third husband, Robert F. Six, was CEO of Continental Airlines. 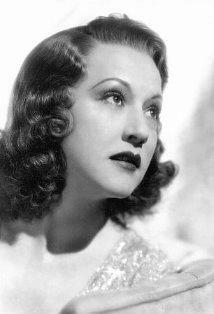 In 1979 she released her most controversial album-to-date, a disco LP simply titled "The Ethel Merman Disco Album." Despite it not even charting on the Billboard charts, and many people's skepticism about the then 71-year-old veteran performing her Broadway hits to a disco beat, it was a smash hit, being played in Studio 54 regularly, with live appearances by Merman, herself. It also became a staple period album for the majority of the gay community. Nominated for 1957 Tony for Leading Actress in a Musical for "Happy Hunting". Nominated for 1960 Tony for Leading Actress in a Musical for "Gypsy". Recreated both her Broadway starring roles of Mrs. Sally Adams from Call Me Madame and Reno Sweeney from Anything Goes! in the movie versions. She suffered a miscarriage during her marriage to Robert Levitt. She was awarded 2 Stars on the Hollywood Walk of Fame for Motion Pictures at 7044 Hollywood Boulevard and for Recording at 1751 Vine Street in Hollywood, California. She was either seen or heard (or both) in several of the opening credits of film of TV adaptations of shows in which she recreated her original roles. In the 1936 film of "Anything Goes" she appears singing a phrase of the title song before the opening credits even appear; in the 1953 film of "Call M<e Madam", she is heard saying the words "Call me madam" as the title appears onscreen, and in the 1967 TV adaptation of "Annie Get Your Gun", the credits appear on targets at which she shoots.